The word came down this week that we’re losing The Bon Ton store in Lockport. With its closing, it truly marks the end of an era, in several ways. The last vestige of the Lockport Mall will now no longer be there. Sure, the building may remain, but the last ties have been broken. It also breaks the chain back to the Buffalo department store -- AM&A’s. AM&A’s was a staple in Lockport after it opened at the Lockport Mall site in 1974. It was founded in Buffalo in 1867 by Robert B. Adam, Robert A. Meldrum, and Alexander White. Known as Adam, Meldrum & Whiting, it had its first store at 308-310 Main Street. In 1876, Whiting left the partnership and was replaced by William Anderson. After the death of Robert Adam, III in 1993, the chain was sold off to the Bon Ton in 1994. The Bon Ton has deep roots with a history spanning 120 years. It was started in York, Pennsylvania in 1898 by Max Grumbacher and his father, Samuel. Initially known as S. Grumbacher & Son, it acquired its new name from British slang for “high society.” It served in place of the iconic AM&A’s in Western New York after its $42.6 million acquisition in July 1994. In the beginning of 2018, it was determined that some of the stores would be closing, but that the Lockport store seemed safe. On April 17th, we learned the hard truth that the chain would be completely liquidated. It’s been a love-hate relationship with AM&A’s and The Bon Ton for me. When I first started going to concerts, this was the place to get tickets. There was no phone orders, or if there were, there was no way my parents were going to allow it. Plus, I didn’t have a credit card. I would show up at the store with a fistful of cash and return with the ducats. The first time I bought ticket for a Grateful Dead show, it was at AM&A’s. I actually waited in line for the place to open. I was probably the 12th person in line. I had pretty good seats at Rich Stadium. That was the love part of the relationship. The hate part? Well, that’s a bit more encompassing. When we were kids and hanging at the Lockport Mall, AM&A’s was the place we always avoided. Part of it was that it seemed to us to be a place for old ladies to shop. Between the perfume and negligible men’s shopping, there just wasn’t much for us. Besides, whenever we did wander that far into the mall, we got “down their noses” looks from the women working there. (Actually now that I think of it, it was still that way the last time I went in there without Wendy.) It wasn’t a welcoming place for teens. Rightfully so. It really wasn’t the store for us. Still, besides all the misgivings, you had to appreciate the fact that this store was successful enough throughout the dips and dives of the economy. 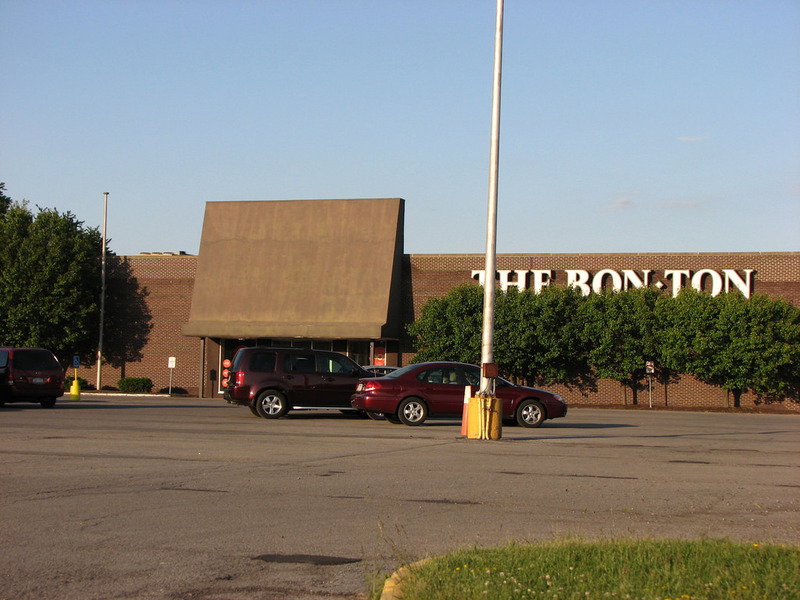 Even after The Bon Ton took over, it survived the demise of the Lockport Mall. It stayed busy here in Lockport even after Super Walmart moved in on the site of the old mall. I would bet that as a single store, it would have stayed in business here in Lockport. It gave us something other than the “fast food” wardrobe of the big box next door. I’m big into tradition, so losing The Bon Ton is a bit of a big deal. Once it closes its doors, the store will be missed. Mostly, I’ll miss the idea of complaining about the insane prices on items in the store. Or maybe trying to figure out the intricate and complicated coupon usage guidelines in accordance with the weekly sales. In the end, it’s another piece of local history fading into twilight, and the final goodbye to the Lockport Mall. It appears that Craig Bacon will now have to find another local place to buy his Grateful Dead concert tickets. Do they allow camping?? For my article on the Lockport Mall, you can read that HERE.